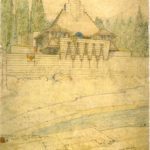 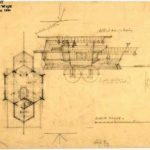 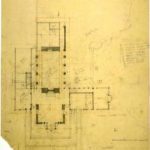 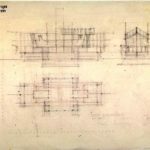 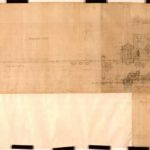 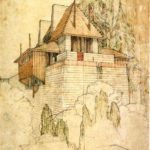 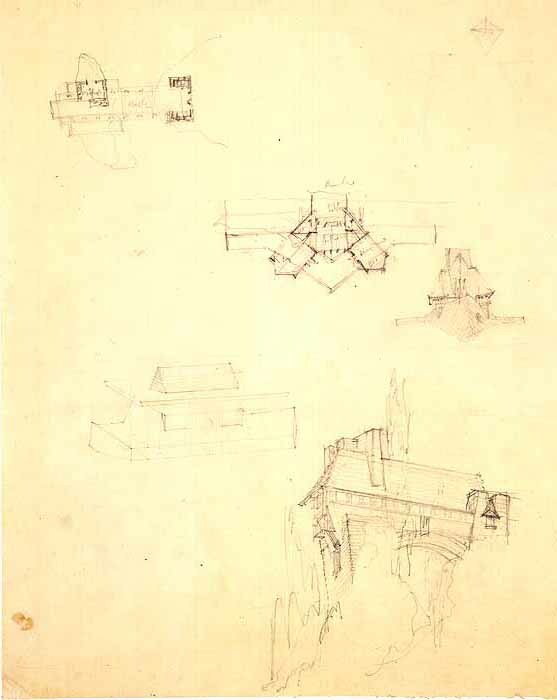 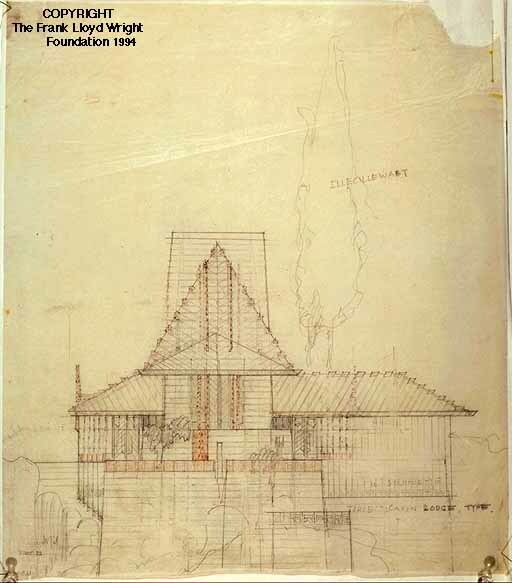 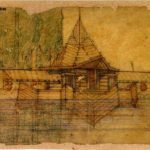 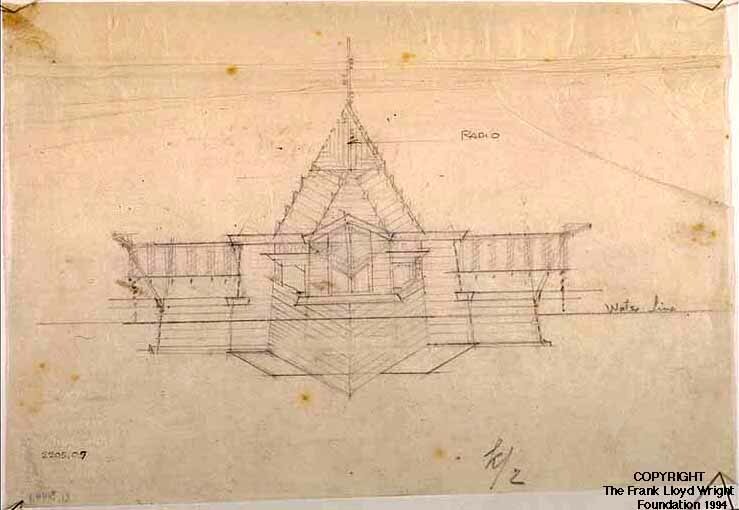 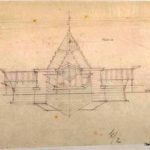 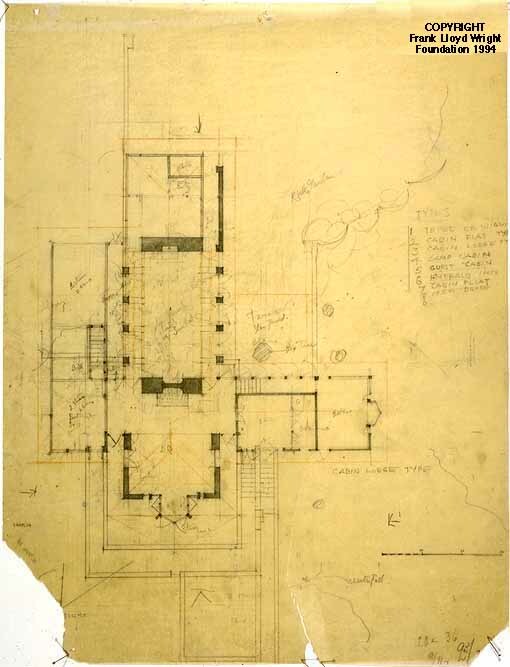 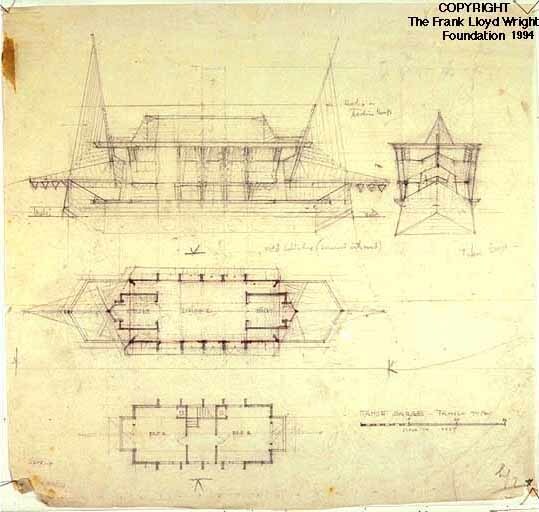 It was the Frank Lloyd Wright’s Plan for Emerald Bay. 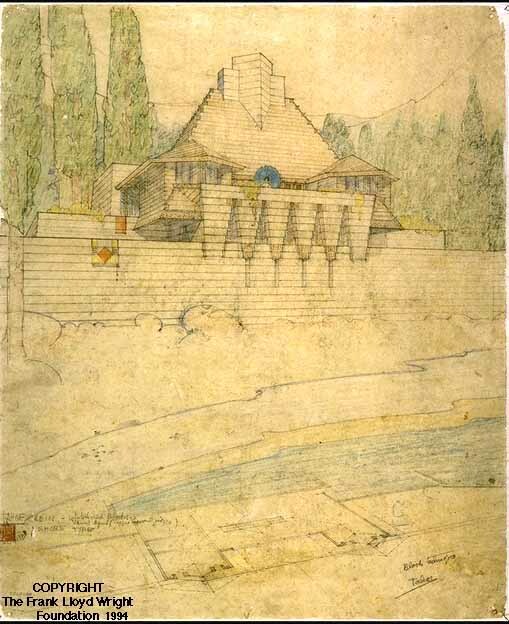 Wright’s designs for the Lake Tahoe Summer Colony, begun in 1923 while he was pursuing hopes for Doheny, were also speculative. 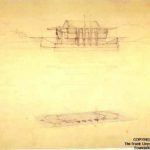 The site of some 200 acres enclosed the head of Emerald Bay at the southwest corner of Lake Tahoe. 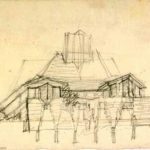 His ideas for Lake Tahoe remained unrealized, although the site, now a state park, has survived largely untouched. 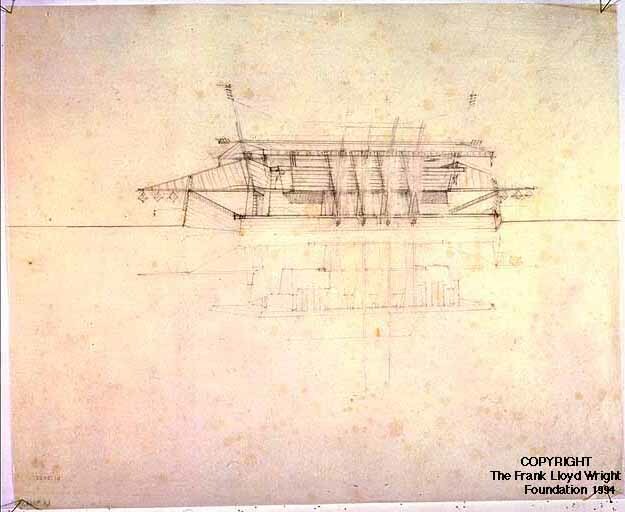 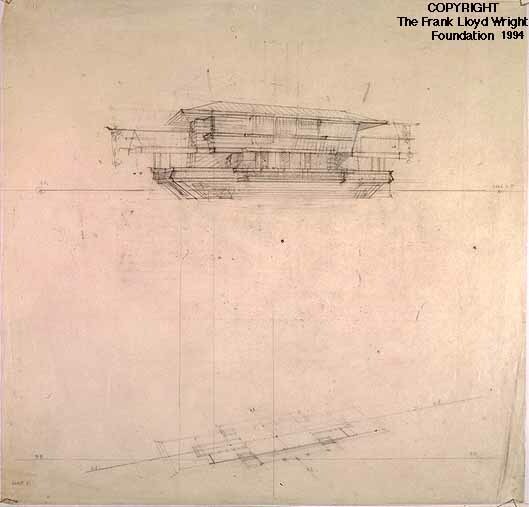 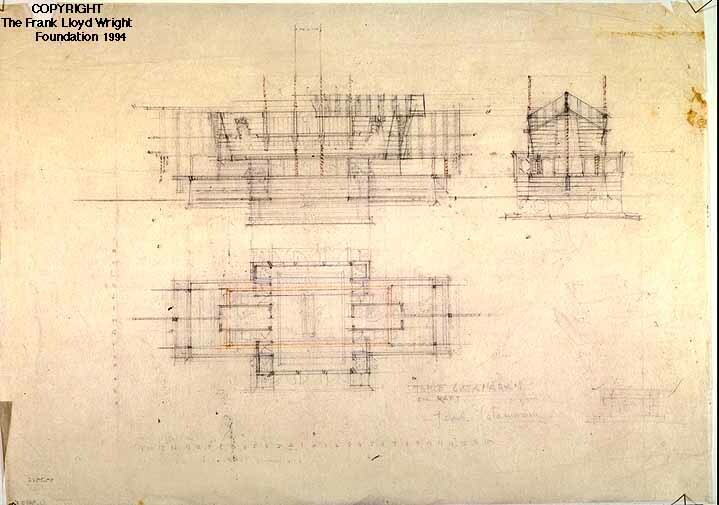 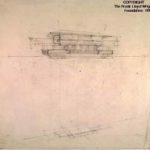 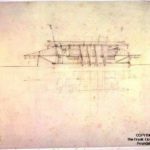 Mobility was fundamental to Wright’s concept, not the mobility of the automobile and integrated roadways seen in the other projects in the exhibition but that of the houses themselves. 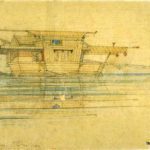 Here he conceived floating cabins whose changeable positions on the water would intensify the visual impact of the bay, and conceived the inn, itself approached by a floating bridge, as a sort of elaborate jetty. 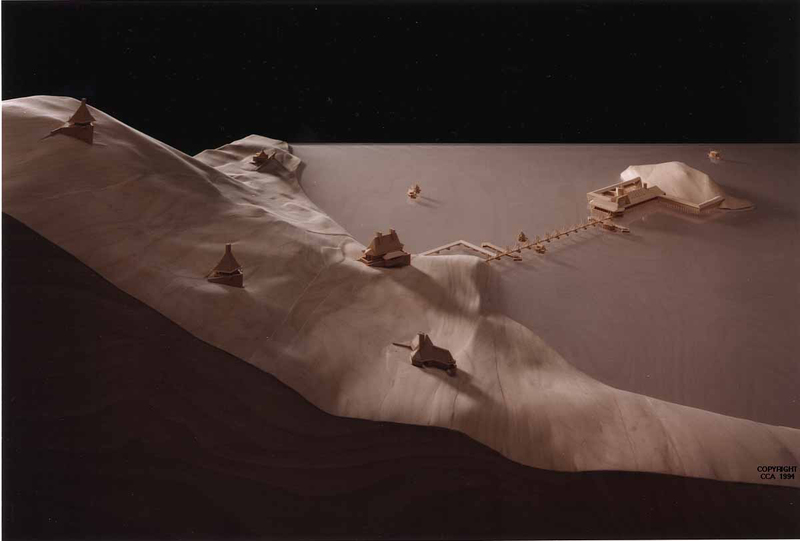 The site of the colony included the lake’s only island, about the size of a city block, and there Wright located the focal point of the development: an inn built out over the bay and linked to the mainland by a varied network of floating piers. 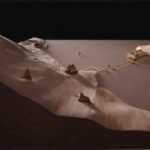 The outline of the small island would have been intensified by the sympathetically scaled inn, and brought into strong alliance with the surrounding mountains through its connection to the shore. 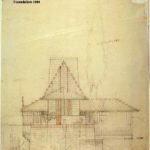 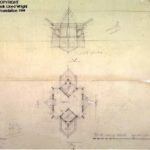 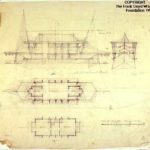 Had he continued to plan, bringing the individual cabins more firmly into the composition, they would no doubt have further structured their setting. 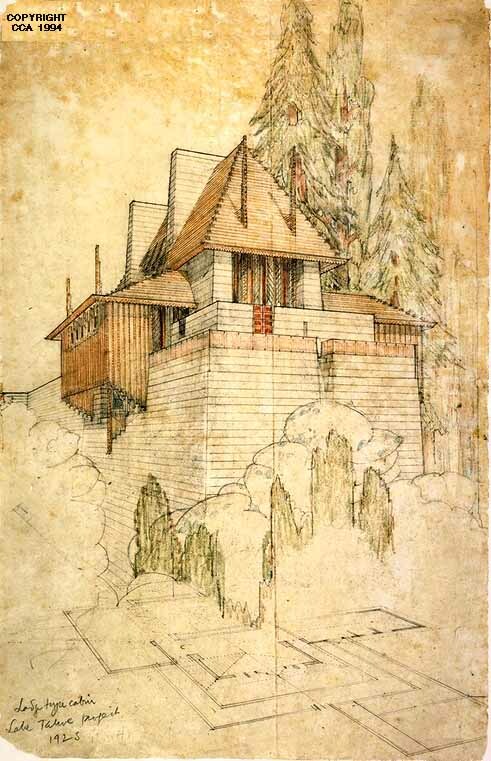 Along the shore and on nearby mountain slopes, Wright proposed a series of individual cabins. 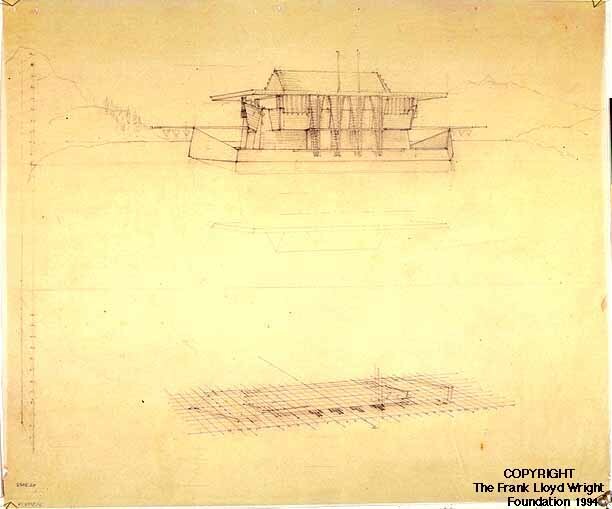 The floating cabins, like houseboats, were to be moved about the bay, thus bringing the lake itself into special play. 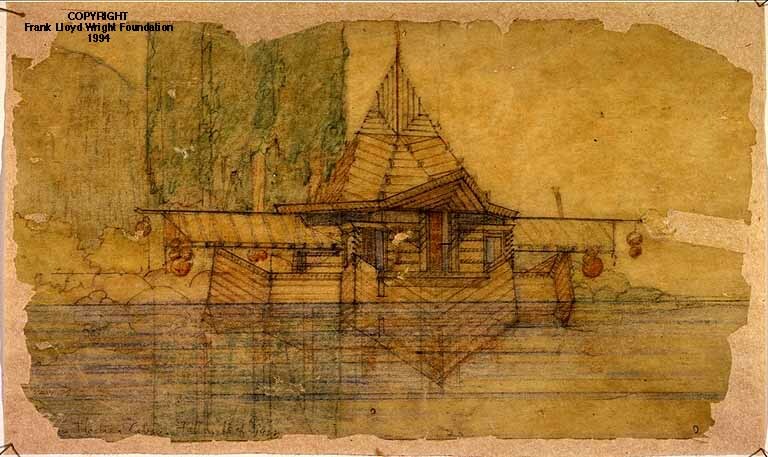 Their names, like those of the cabins, reflect specific qualities: Catamaran, Fallen Leaf, Family Type, Barge for Two. 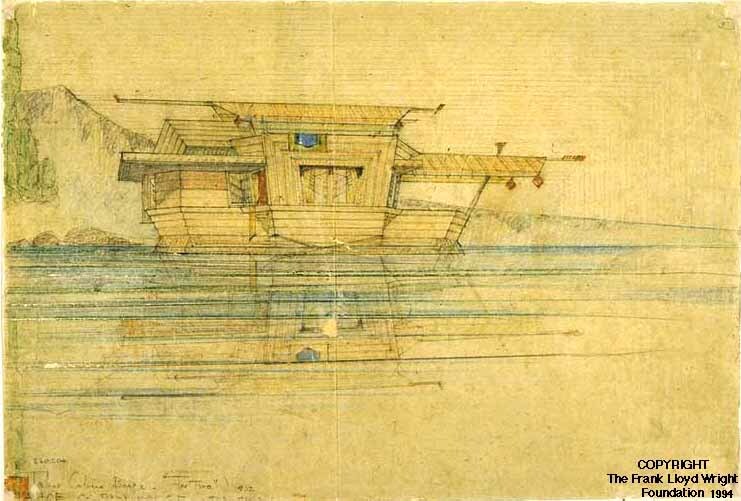 Except for the Catamaran, all incorporated angled geometries, most notably in their prows. 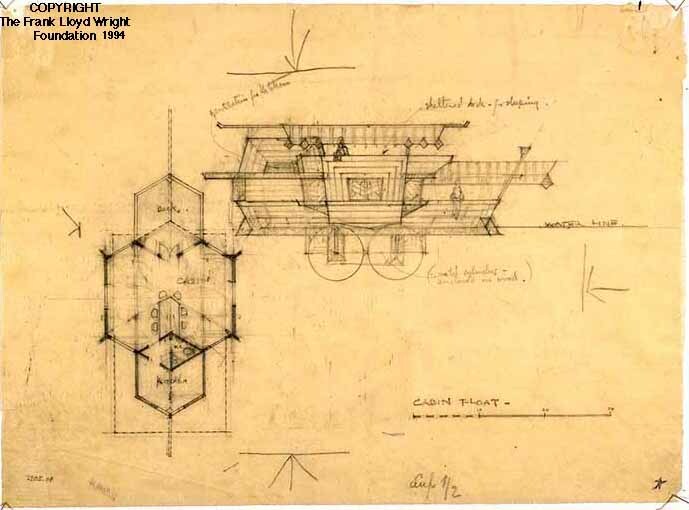 The Barge for Two records Wright’s first known use of a fully hexagonal module. 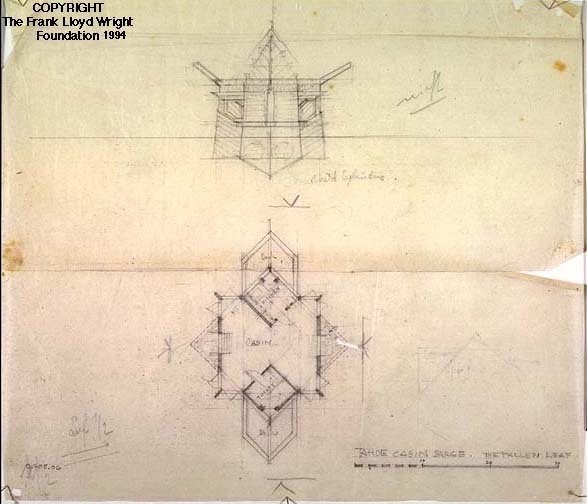 Not only its bays but the spaces throughout are so shaped, resulting in a fully hexagonal plan. 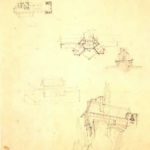 It was a device he would explore in later years with extraordinary results.